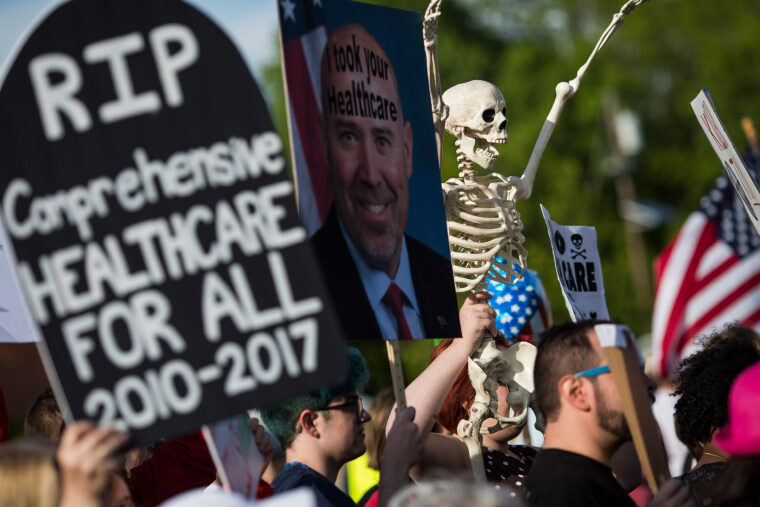 The Republican health care bill is continuing to receive harsh criticism, especially after they released a 142 page draft that proposed cutting almost a trillion dollars from Medicaid and to end federal funding for Planned Parenthood. The day the draft was revealed, protesters in wheelchairs were arrested for protesting outside of Mitch McConnell's office, and photos circulated the internet showing those individuals being removed from their wheelchairs and arrested. Highlighting the cruelty of the healthcare bill, in perhaps one of the most heartbreaking ways possible, Ali Chandra wrote a Twitter thread explaining the costs and complications involved in her young son Ethan's rare medical condition, called Heterotaxy, a birth defect that affects the heart and other vital organs. "I was immediately shocked at how cruel it was," wrote Chandra, in a comment to The FADER, speaking about the recently released draft. "And how it seems to reduce our children's lives to lines in a budget." "I would tell [Republican lawmakers] that politics are always personal," wrote Chandra. "That the laws they write will have real, tangible consequences for living, breathing humans. I would ask them whether they would be able to vote yes for this bill if it were their own child's life or their own financial security [were] on the line. Honestly, I just want them to look me in the eyes and explain how they can justify creating and passing a bill that would say to my son that his life is too expensive to save." You can read Chandra's full Twitter thread below. With the vote on the bill most likely coming this week, activists and everyday citizens are organizing to fight against the passing of such a harmful piece of legislation. For ways to contact your senator to tell them that you don't support the passing of the health care bill look to The FADER's guide to stop the Senate from taking away healthcare from 23 million people. We're hopeful that going forwards he'll need fewer and smaller surgeries, but this was not the last time they'll open his chest. We also regularly see a local cardiologist, and electrophysiologist for his pacemaker, a pediatrician, & immunology for his polysplenia. He takes 5 different prescription medications multiple times a day. All of this adds up. None of this would be possible without insurance.